Please use the buttons at the top of the page to search for homes in Del Webb Spruce Creek, The Villages, Stonecrest, Spruce Creek South and the area's finest Family Communities. For all your real estate needs, whether buying or selling, Diane Siefkas, your Real Estate Professional throughout Central Florida. All Results Appear In Pop Up Windows. Disable Blocking Software. Diane understands the importance of proper Internet marketing. She understands that more than 93% of all home searches begin on the Internet, many using national and international sites such as Trulia or Realtor.com. For this reason, Diane utilizes virtual walking and drone tours to better market the properties she represents. Below are examples of the virtual tours she utilizes. Click the PLAY button to view them. If the agent you have spoken with does not use this style of marketing, perhaps you should stop and call Diane today! 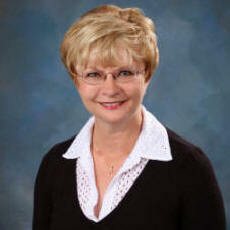 Diane Siefkas and Re/Max Premier Realty makes offerings on this web site subject to errors, omissions and prior sale. Material facts should be reviewed by the Buyer. Broker and agent make no representation of the information provided herein. The source of listing information on this site is the Mid-Florida Regional Multiple Listing Service. Agents are not necessarily the listing agent for the properties found on this site. through personal inspection by appropriate professionals. availability of any listing should always be independently verified. The real estate agents on this website are licensed in the state of Florida.